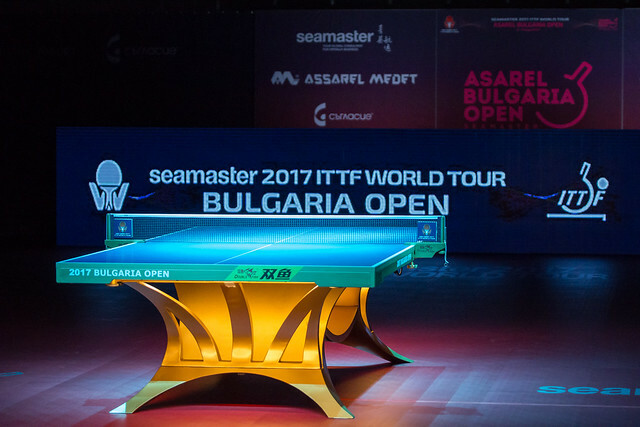 The Women's Doubles tournament at the Seamaster 2017 ITTF World Tour Asarel Bulgaria Open was narrowed down to four pairs on Friday 18th August as the midday session of play hosted quarter-finals action in Panagyurishte. Sweden’s Matilda Ekholm and Hungarian partner Georgina Pota are the final European representatives left standing in the draw, after the second seeds came through their quarter-finals tie with little trouble. Taking on Szandra Pergel and Kinga Stefanska of Hungary and Poland respectively, Matilda Ekholm and Georgina Pota moved one step closer to fulfilling their title hopes and could well be major contenders to lift the trophy after posting an impressive victory in the last eight (6-11, 2-11, 10-12). Next up for the Swedish and Hungarian combination is a tough fixture against India’s Manika Batra and Mouma Das, who have proven to be a strong pairing as of late having secured a top eight finish in the Women’s Doubles event at the Liebherr 2017 World Championships. Now the Indian duo have progressed through to the penultimate round in Panagyurishte with a fine performance against Nadezhda Bogdanova and Daria Trigolos of Belarus (13-11, 11-3, 9-11, 11-3) and will be feeling very confident of success heading into the next stage of the tournament. Japan will feature in the Women’s Doubles title showdown after two of the country’s pairings prevailed in the top half of the draw. Top seeds Honoka Hashimoto and Hitomi Sato came through their quarter-finals encounter against Czech opponents Dana Cechova and Iveta Vacenovska without dropping a game (11-9, 11-8, 11-5), booking a tie with fellow Japanese compatriots Kasumi Ishikawa and Mima Ito who eliminated the Chinese Taipei partnership of Huang Yu-Chiao and Wang Yi-Ju from the competition (11-9, 11-8, 11-3).